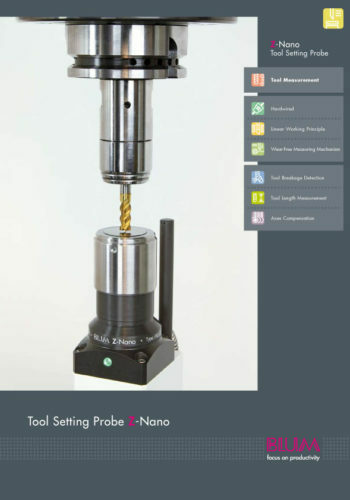 Robust and extremely precise – Tool setting probe with linear working principle for monitoring of smallest tools. Due to the linear working principle the probe provides a minimal and torque-free measuring force. Even the most sensitive and smallest tool diameters can be measured extremely precise.